What a timely and important conversation. Throughout 2017 and 2018, he will be giving presentations about the Global Peace Index in Brazil, Canada, and the United States in order to advance the state of knowledge about the drivers of peace as well as give local organizations concrete tools to help build peace in their communities. Eduardo da Costa is an economist, development practitioner, and peace scholar in the Brazilian Amazon rainforest. 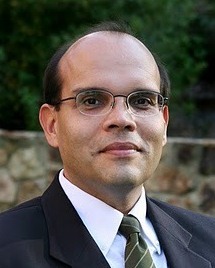 As the first Rotary Peace Fellow from the Brazilian Amazon region, and given his specific interest in the topics of sustainable development and peace, he was assigned by the Rotary Foundation to attend Duke University’s Master of International Development Policy Program at the Duke/UNC Rotary Peace Center, in North Carolina. Register for the 2018 Rotary District Conference before the price goes up December 31st at "click here to register". Price goes up January 1st, 2018. Visit the Conference website at rotary5040.org/Page/2018-district-conference.